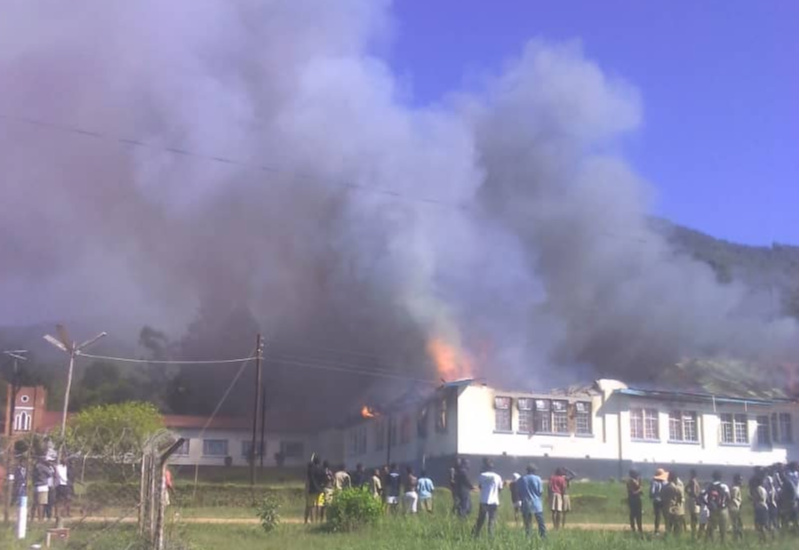 Fire has gutted a classroom block at Hatzell High School in Mutare this morning. The headmaster of the Methodist-owned school, Mr Shorwi Kawadza, confirmed the incident. He said they are yet to ascertain the cause of the inferno. “The fire team has just arrived and they are now in control of the situation. We don’t know what caused the fire,” he said.